Roselyn, born 1970, has two boys. Eduardo, born 1974 has no children yet. While some of you are retiring, I am expanding my business. I am the administrator of my own properties and of two condominiums. My son, Eduardo, helps me dearly with my properties so I mostly assist him when he needs me. There is a third condominium entertaining the idea of hiring me and I am in love with the challenge. When I went to the Woods I went against my will. My mother was very ill and I was very scared she would pass away while I was away. After she died during my Sophomore year I stayed in Puerto Rico for my Junior Year. It only took me one day at the University of Puerto Rico to know that my only reason for not wanting to go back to the Woods was no longer alive. I made great friends at the Woods and have beautiful memories which I will treasure forever. I hope that for next reunion the stay may be a little longer so we may be able to talk and enjoy all. Living in Puerto Rico at a time when there were no drinking age restrictions, I came to the States to have my very first Martini. Barbara Martin's father made it and I have never found anyone to make it as good. I guess his secret ingredient was the love he put in it for both of us. Visiting Marion Polizzi's house over the holidays I learned to eat tabulae, a very tasteful salad. For someone like me who hates salads, that was a super achievement. For you non-believers, I am still eating tabulae even though I do not know how to spell it. Vicky Vallecillo added a comment on Profile. Vicky Vallecillo has left an In Memory comment for Profile. May my condolences bring comfort to her family and may my prayers ease the pain of her loss to all of us, her classmates, who will always cherish beautiful memories of her. Vicky Vallecillo has a birthday today. New comment added. Kate (Kathy) Krider Satchwill posted a message on Vicky Vallecillo's Profile. Best of the best and beautiful birthday greetings! Horray and hallelujah for friends, families and your fun-filled enthusiasm for life! Susie Shiel Newman posted a message on Vicky Vallecillo's Profile. Vicky Vallecillo posted a message. Happy birthday! Hope you have a great day! ?????? 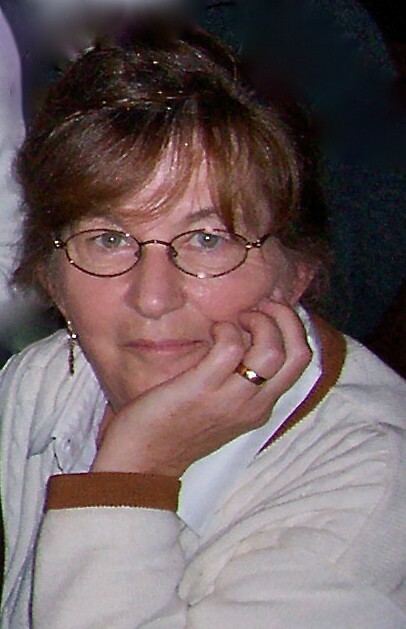 Vicky Vallecillo added a comment on Sheila Donahue Reif's Profile. Thank you for your birthday wishes, you certainly enhanced my day. I imagine your trip to Canada with Don was another success. Nothing better than spending time with family and friends. I hope we may see each other again and again. Send my love to your husband. Vicky Vallecillo posted a message on Susie Shiel's Profile. Susanita, gracias por acordarte de mi en mi día. Had a great day and all your good wishes made it even better. Vicky Vallecillo has a birthday today. Celebrating New Year's in Culebra's plaza. From left to right: Manuel Garratón, Priscilla's husband, my sister Priscilla, my son Eduardo, myself, my sister Carmen, her husband Sergio Molina and Eduardo's girlfrien, Lorna. Two of my grandchildren, Roselyn's Joaquin (6) and Esteban (3), they are my daughter's sons. Lorna, my son's girlfriend, and her daughter Andrea. She is my third grandchild.